Newsagent’s, corner shop, convenience store, local post office and store are just some of the terms used to describe independent retail shopkeepers who make a living by staying ‘open all hours’. Stocking essential items as well as a few last-minute/impulse buys, they make their money by simply by being ‘local’ to their communities and customers. 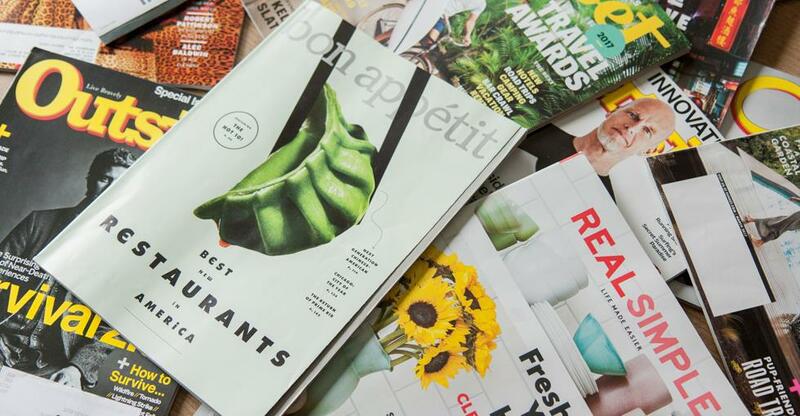 A survey by the South African Audience Research Foundation (SAARF) found that around 50% of South African adults are newspaper readers, and 48% are magazine readers. Print media represents about 19.3% of the total monies the nation spends on advertising (R34.4bn). Figures for 2013 show South Africa had 25 weekly and 22 daily major urban newspapers, most of which were published in English. Newspaper circulation data (2013) shows that the top-selling papers, by language, were: Sunday Times (English, 368,974); Rapport (Afrikaans, 192,293); and Isolezwe (Zulu, 110,753). Long working hours are an essential feature of any business which hopes to remain profitable. In addition, entrepreneurs must be able to respond quickly to any niche products which are selling well – which also implies good relationships with fast, responsive and efficient suppliers. Population growth, rapid urbanisation, the rise of a more affluent middle class, more working women and increasing home ownership are some of the demographic features which have helped to improve the outlook for newsagent/convenience stores. Many households now shop more frequently and thus all the more appreciate the advantages of a local ‘one-stop’ retail outlet. Because most consumers now realise, and largely accept, the practical limitations of online shopping, convenience store retailers no longer feel particularly threatened by its continued expansion. In fact, in some instances, the local shop with its long opening hours can easily act as an agent or partner providing collection and drop-off facilities for many other businesses – a practice which also helps to bring more potential customers into the shop. As always, the problem for this sector is that margins are often so slim that entrepreneurs must be prepared to work long, unsocial hours just to make a profit. This, in turn, means owners must be happy to make a whole-hearted commitment to their local community. However, those individuals (and often families) who are prepared to do this can usually rely on a steady income, with the outside chance that astute internal management or fortuitous external features – such as a new housing development on their doorstep – may bring a further increase in profitability. A retailer will need a business license in order to trade, and must, of course, also register with the tax authorities. Furthermore, the diversity of goods and services is also likely to trigger the need for extra licensing requirements – especially in areas such as food, drink, and tobacco, or perhaps in connection with the supply of gas canisters and other fuels for heating purposes. Any business will also require insurances covering risks such as public liability, and if extra staff are taken on to help with the business this will mean meeting the demands of employment legislation. Outstanding customer service is usually the cornerstone of success in this sector, though hard work and dedication are essential too. And given the complex nature of the goods and services offered, any newsagent/convenience store retailer must also be an ultra-efficient bookkeeper and business administrator. In addition, an owner must develop a good ear for what customers want, plus an ability to recognise and anticipate new possibilities and then market his new ideas to the local community. It’s very common in this sector to buy an existing business. However, to avoid an expensive mistake, it’s also absolutely vital to thoroughly research the financial history and background to any prospective purchase before making any commitment. Location is the most important feature, with sites near transport links and larger populations especially sought after. In addition, a new owner with entrepreneurial flair and a sure eye for developing or revamping the appeal of a tired business may sometimes be able to transform its prospects in a relatively short time.